I've always loved peter pan collar shirts, and the print on this one is gorgeous. I particularly like it with the milkmaid braids and the layering of necklaces. I needs to get me one of these boxes! I've promised Sara I'm gonna make a little homeware order when I finish uni and go back home, and these boxes are top of the list! They're such a mega bargain at only £8 too, I may have to get a few of them! I've already bought myself one of these Budda Head rings, they are simply adorable! I've become obsessed with layering silver rings on my fingers (including many of the Waiste gem rings too) and this one is a solid winner everytime. You've gotta love a vintage oversized tee to chuck on with some highwaisted shorts in the Summer, or wear under a kimono at a a festival. This dress is really my style. I love vintage shaped dresses that come in really tight at the waist and still have the big shoulders too. The floral print is simple gorgeous too, all in all a perfect dress if you ask me! How cute is this throw?! 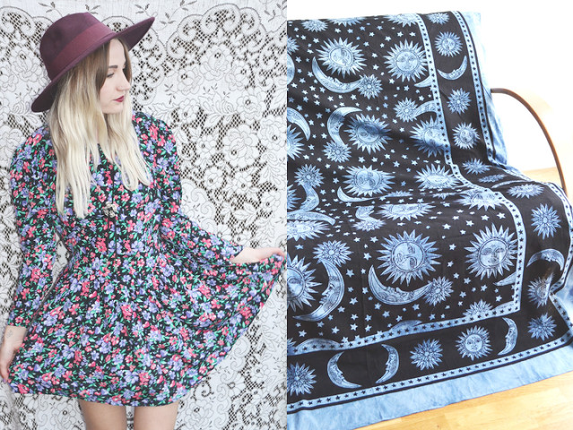 I'm so in love with moon and sun celestial print, and this throw can be used in so many ways - as a wall hanging, as a chair cover, as a bed throw etc! Literally the Waiste homeware range is just to die for. 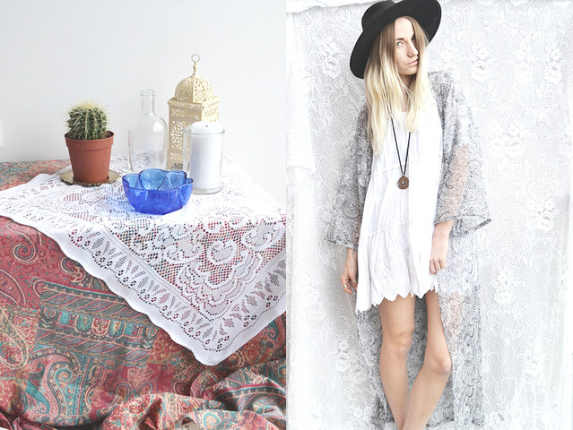 I want a home full of cacti and Moroccan lamps and these lace throws look so gorgeous on top of a patterned table cloth. I need to get myself some new floor length kimonos. I've got my fair share of short ones, but these are the ones that I really love the look of and this Summer I intend to invest in a few! I love that this one is both sheer and has a paisley print too - perfection! Yet again I'm loving the paisley print on this dress and especially loving it with the milkmaid braids hairstyle. I love the oversized-ness of this dress and it looks so comfy! 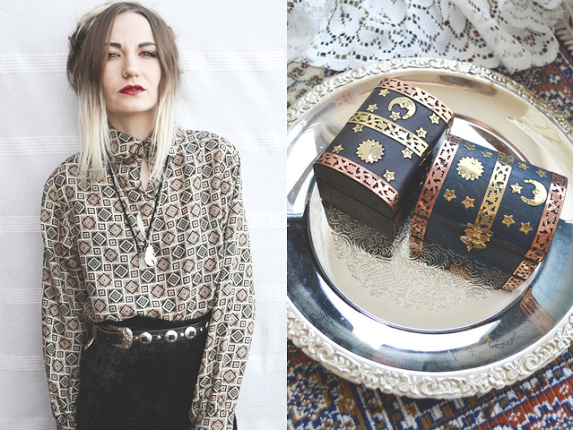 Have you managed to get your hands on any of Waiste's one-off vintage pieces? 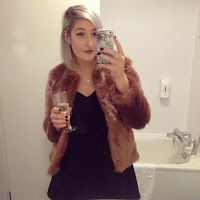 Which is your favourite item out of the ones I've posted? I'm loving that moon and star throw! Looks incredibly soft and comfy!! Absolutely gorgeous pieces, I love EVERYTHING! :) Thanks for sharing. 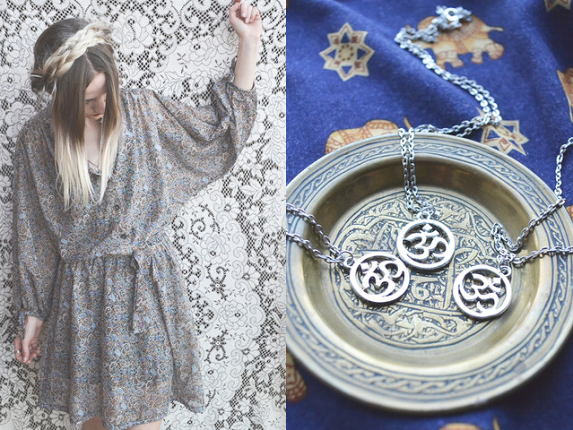 In love with these patterns and prints at the moment, my moon necklace and mood ring are constantly on my fingers and neck, I love all your picks, the trinket box is adorable, you're so lucky to have had an internship there! 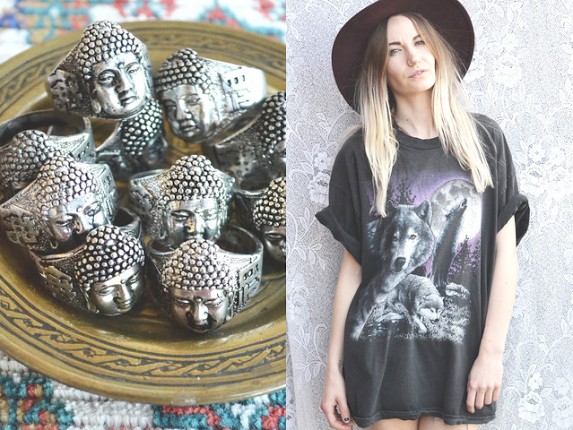 I love the little Buddha rings!